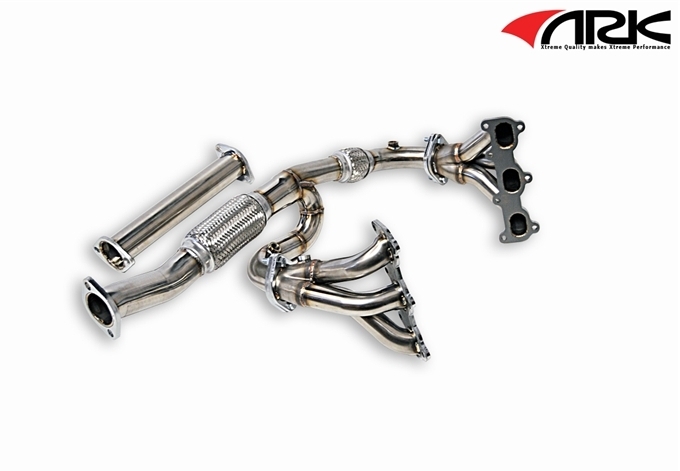 The ARK R-Spec 3-1 Headers are designed to racing spec. 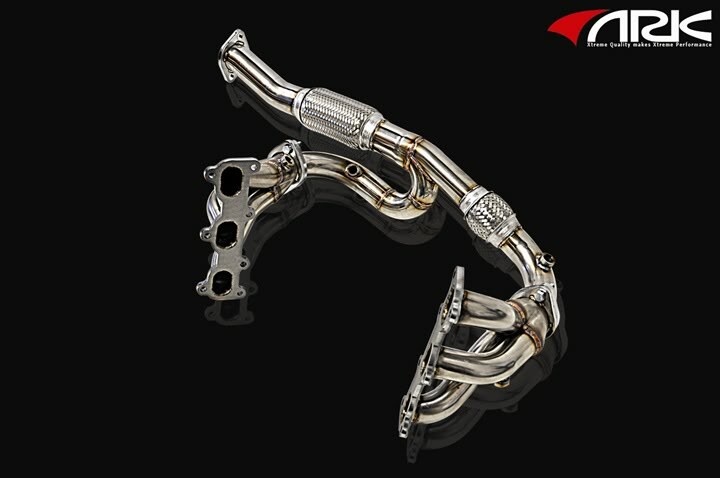 The headers are semi-brushed and mirror polished, they have CNC mandrel bent primaries, TIG welded connections, and de-burred and ported inlets/outlets for the best and smoothest flow. These are designed to get the most out of high revving motors. These have been dyno proven to increase horsepower and torque from mid-range to redline! The primaries exit into a special laser guided designed merge equal collector allowing smooth exhaust flow, most ideal for racing applications.